Dash ($DASH), a decentralized digital currency, released an upgrade to its blockchain code Wednesday that promises to reduce most transaction fees to less than a third of a penny, boasting that it has upgraded its scaling capabilities as Bitcoin struggles under the load of its users’ activity. The change reduces regular transaction fees by 1,000 percent, so now any transaction will cost a flat rate of .00001 Dash. At the time of this writing, that is the equivalent of .0032 U.S. dollars. Premium transactions with faster confirmation will cost ten times that amount. “InstantSend transactions, which confirm online or at the Point Of Sale in less than two seconds, will be reduced to a remarkably low 2.8 cents each (0.0001 x Current Dash Price),” writes the EconoTimes. “InstantSend transactions historically cost 0.001 Dash or 28 cents. In contrast, bitcoin carries transactions costs of about $6 USD per.” Since Dash’s upgrade, the price has bounced such that the fee for these premium transactions would be the equivalent of 3.2 cents. In contrast, most credit and debit cards charge a flat fee of at least twenty cents — plus a percentage of the product price, averaging about three percent. 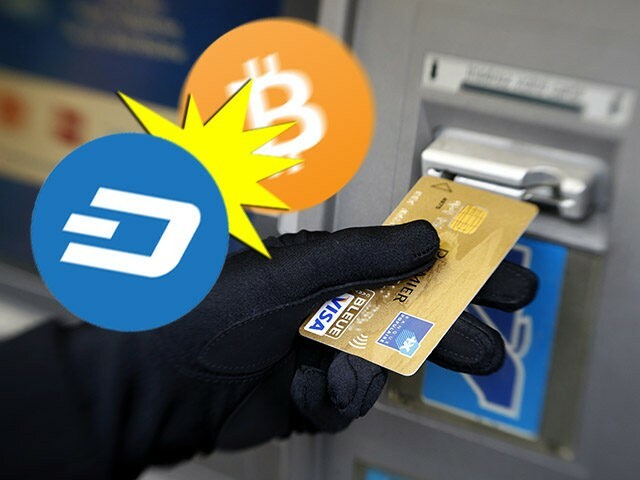 The upgrade also affects the speed and volume of transactions, with Dash now boasting it can handle 48 per second while Bitcoin remains stuck at seven. That number is nowhere the average 2,000 that Visa gets or the 1,500 that blockchain firm Ripple boasts, but it still means a capacity for over four million transactions a day — not bad for a technology still in its infancy. And the Dash development team appears hyper-focused on making the currency easy for everyday use more than getting rich through day trading. Ryan Taylor, CEO of Dash Core, specifically cited unglamorous, “low value” products to show the benefits of the upgrade in a statement announcing the new code. I do not own any Dash (or Bitcoin), but the network has intrigued me with its multi-tiered setup. In most blockchains, users earn new units of the currency by mining (proof of work) or by buying (proof of stake). Dash has a hybrid system where you can do both. In its “masternode” system, anyone who owns 1,000 Dash keeps those coins connected to the network and earns a reward of passive income for supporting the blockchain. At the current price, it would cost a newbie over $300,000 to start a masternode, but a potential investor can instead join masternode “pools” with the cost of entry being a much lower 25 Dash (closer to $8,000) at one of the most popular ones. With this update, Dash now has strong incentives to mine, stake, and spend, while Bitcoin struggles with spending — with no potential relief in the near future. Dash is on a direct path to attracting more users with non-techie appeals — and all digital currency developers should take note. Someone living in Section 8 housing won’t care about the elegance of your coin’s cryptography; he cares a lot more about getting his funds confirmed quickly enough to avoid a payday loan. A widowed grandmother isn’t going to care about an anarchist reset after we destroy the central banking system; she cares a lot more about paying for her food and toiletries without a 3% surcharge. And a retailer will definitely care less about the value of Dash going to the moon than selling wares for 3% lower than his Visa-reliant competitors and getting more customers. This article is not a recommendation to buy any blockchain currency and should not be considered financial advice. Ezra Dulis is Deputy Managing Editor of Breitbart News. Follow him on Twitter or on Steemit.